In 2012, a Freedom of Information request was submitted to the New South Wales Crime Commission (NSWCC). 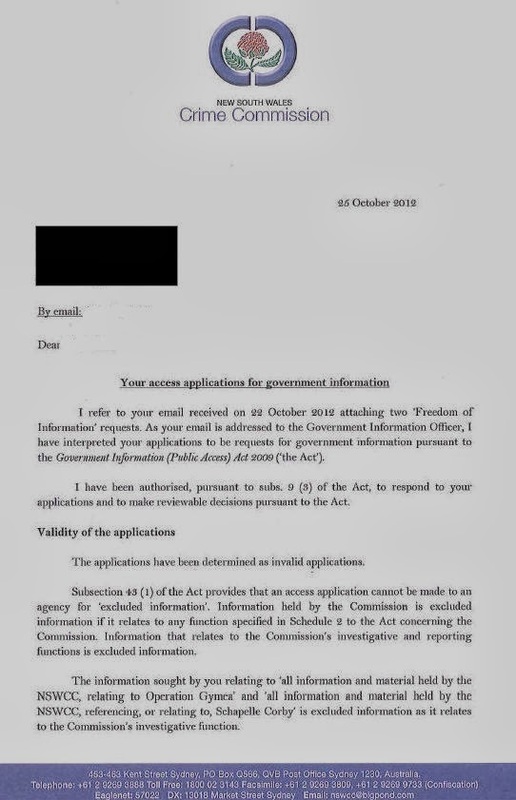 In the wake of the revelation that the AFP and the NSWCC had withheld potentially vital evidence from Schapelle Corby and the Bali court, this sought access to all other relevant information held by the commission. In addition, the role of Mark Standen was also of interest, given his involvement in Operation Mocha, and many other aspects of the case. In practical terms, all information held by the NSWCC and relating to Schapelle Corby was censored from public scrutiny.